Although the majority of Hollywood studios back UltraViolet, the technology that bridges a single piece of content to a variety of devices, The Walt Disney Co. has so far remained aloof, concentrating instead on its own online locker – KeyChest – but it has been slow to roll it out. “I don’t want to sound too critical, but we’re taking a wait-and-see approach on UltraViolet. I’m not suggesting that we’re not open-minded about it, but so far I’m not sure that it’s proven to be as robust as we’d expected or as consumer-friendly as we had hoped. Again, that’s not to say that we wouldn’t necessarily to consider it, but it’s way too early to conclude that,” he suggested. Disney may also force Redbox to wait 28 days before it can buy new releases for rental, Iger revealed. The move would be a departure for the studio. Unlike Warner Bros., Universal and other major studios, Disney has largely resisted the temptation to push back release windows for home entertainment chains such as Blockbuster and Netflix. Iger said that the studio is currently in discussions with the kiosk company about making it wait nearly a month before they can buy DVDs and Blu-rays directly from Disney. 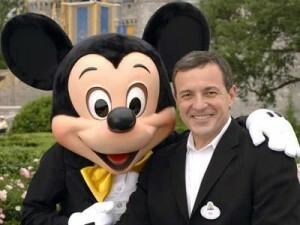 “We feel that would be a wise thing for us to do,” Iger said. He noted that because of the ‘First Sale’ doctrine, companies such as Redbox can buy discs from third-party distributors if they do not want to honour release window delays. This is Redbox’s strategy in respect of Warner Bros. movies now that the parties have failed to come to a deal about extending release windows to 56 days.